We have undertaken enabling works split over three sites at Shoreham Port. • Approximately 22,000m² of block paving and associated ground leveling and preparation at the Fishersgate site. • 700m ducting for future lighting towers and other electrical installations. • Approximately 3,500m³ of on site soil remediation. 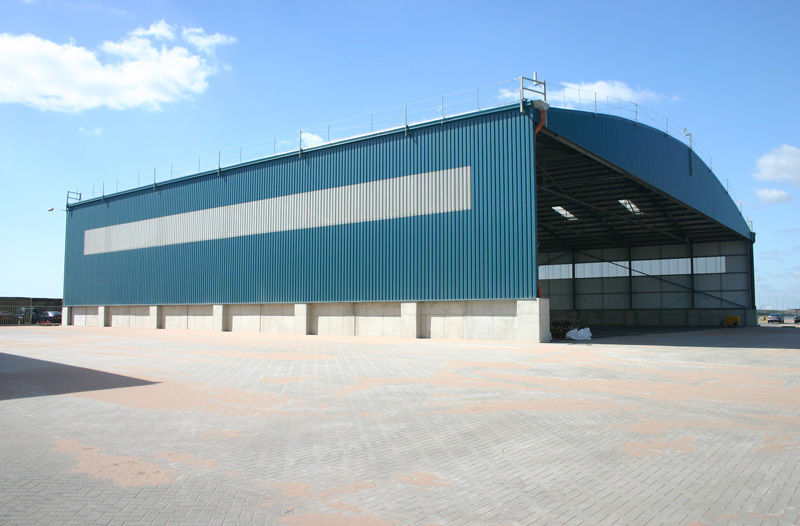 • Two industrial units of 50m x 40m and 100m x 40m. • New terminal entrance construction. The project used a high quantity of recycled material with the majority coming from within the port itself. Recycled slag from Holland was used as type 1sub-base. Much of the material need for site was transported by ship, meaning only local delivery trips by road which helped reduce carbon emissions on the project. Soil remediation was undertaken on contaminated land on the site of an old power station to stop any contaminates leaching into ground water and surrounding areas.